Montana Linda Hostel-the 5C’s: Clean, Cute, Cozy, Comfortable and Colorful- Free WI-FI at all locations. Our Hostel, the most inexpensive in town, offers you accommodations for 39 guests in private and dormitory rooms with shared bathrooms in our youth hostel. Our rooms are simple yet clean and cute offering you the choice to fit both your budget and style. The Hostel offers a “Things to do” including hiking trail book with “getting there” trail instructions helping you get around a bit easier. The Orosi town services info book is also available to get to know about more about the Orosi valley. Our dormitory accommodations at Montaña Linda are simple yet clean, comfortable and relaxing allowing you to save a bit of money and meet great people at the same time. 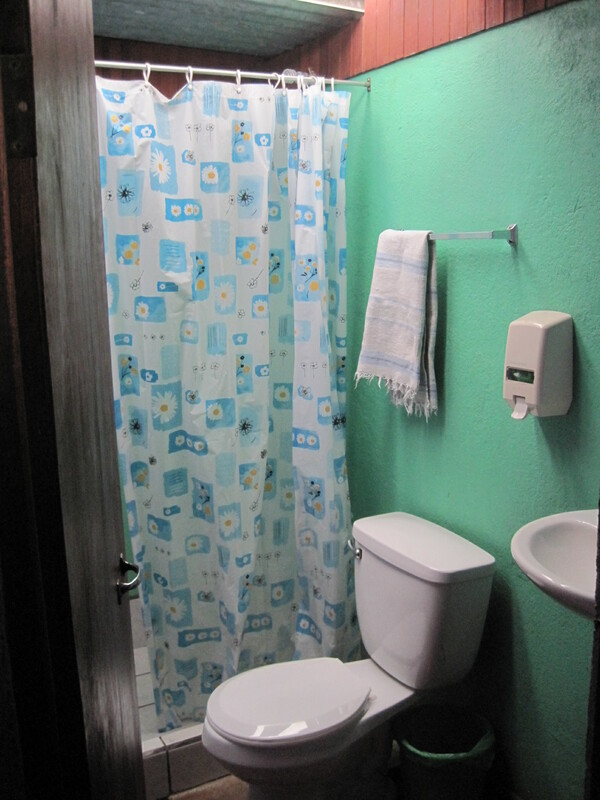 Our dormitories with two, three or four bunks are located quite close to our bathrooms with hot showers. There are no lockers in the dorm rooms, but you’ll feel safe a few minutes after you arrive. 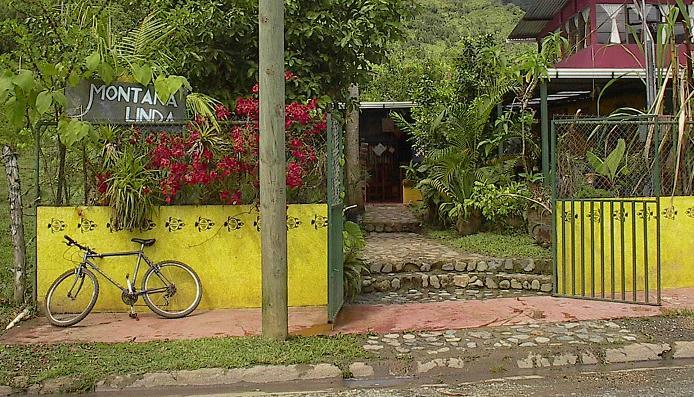 Our private accommodations here at Montaña Linda Hostel are simple yet clean, comfortable, colorful and cute allowing you to relax in backpacker’s luxury. Our private rooms have beds with 2 singles, 1 double or 1 double with a bunk… great for families! Please let us know when booking if you need 2 separate beds. If you are traveling with children please make a reservation as our largest room fills quickly. All of our private rooms are located quite close to our bathrooms with hot showers. Unfortunately at this time there are no private bathrooms located in the hostel rooms. For rooms with private bathrooms see our Guest House. Although our bathrooms are shared, they are individual bathrooms with shower, toilet and sink, not 1 giant room jammed full with rows of toilets. Once you are in the bathroom, it’s you and only you, just like in your own home. The hostel has laundry service and a shared kitchen with fridge, stove and coffee maker for guests use. All accommodations are supplied with bottom and top sheets, blankets and pillowcases so you don’t have to worry about bringing yours along. There are no mosquito nets in the rooms as it is not really necessary. The nights can get fairly chilly in mountainous areas so remember to bring along a fleece or sweater.